Greetings from Florida. 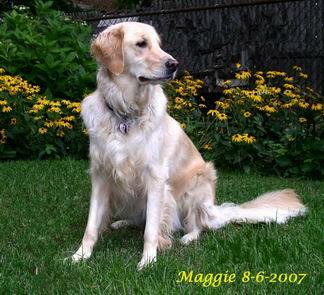 Maggie, who we adopted from LIGRR back in September 2006, crossed the Rainbow Bridge June 13, 2017. She was adopted as a companion to our Newfoundland, Riley. She had been found roaming the streets of Brooklyn and brought out to the Jericho Animal Hospital. After an extensive interview by your volunteers, we were accepted to adopt her. She rode home in our Suburban with her new buddy, Riley. 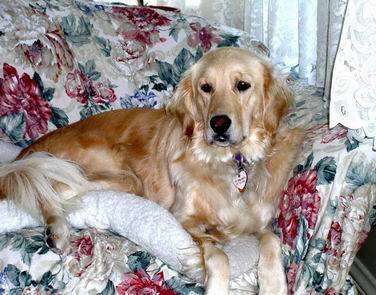 She had a good life, living in Rockville Centre, NY and then moved with our family to Florida in 2011. She was loved by all that met her. She was the most loveable furkid. Her buddy Riley crossed the Bridge in 2013 after a battle with Cushings Disease. 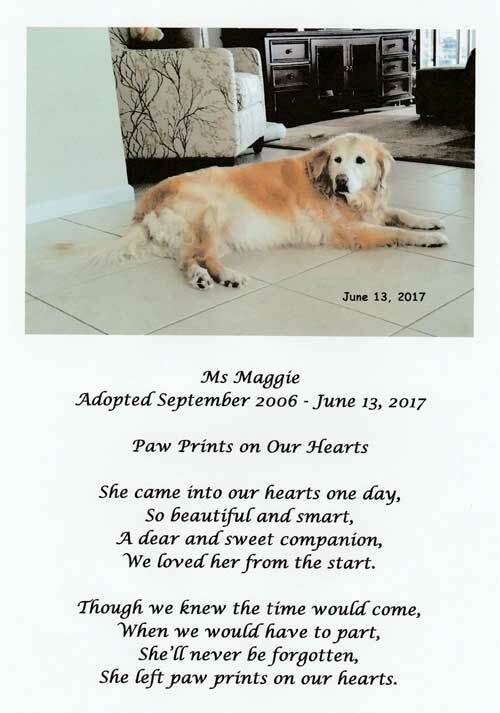 Since you still have Maggie's original posts online that I made after her adoption, I thought you might want to update this in her memory. Thank you for giving us years of wonderful memories with Maggie.